Spring Security has various predefined servlet filters already in place which can be used for various security checks. The working of filters while request reaches to the secured resource/item in a web application having Spring Security can be pictorially shown as in Figure 15-4 below. Table 15-1 below shows all the Spring Security filters available with the Spring Security module and what is the security related task it does for your web application security. ChannelProcessingFilter According to protocol requirement (HTTP or HTTPS), it redirects it accordingly. ConcurrentSessionFilter Ensured user doesn’t have more than set number of sessions. Filter Responsible for binding SecurityContext to the SecurityContextHolder at the beginning of a web request and any changes to it it is this filters responsibility to copy it to the web session when the request ends. Filter Processes an authentication form submission containing two parameters namely username and password. CasAuthenticationFilter Processes a CAS processing ticket, obtains proxy granting tickets, and processes proxy tickets to do the authentication. BasicAuthenticationFilter Processes a HTTP basic authorization headers and does the authentication. DigestAuthenticationFilter Processes a HTTP digest authorization headers and does the authentication. RequestFilter Populates the ServletRequest with a request wrapper which implements the servlet API security methods. JaasApiIntegrationFilter Attempts to obtain a JAAS Subject and continue the FilterChain running as that Subject. 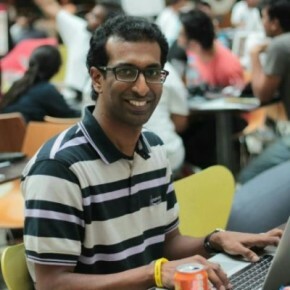 RememberMeAuthenticationFilter Detects if there is no Authentication object in the SecurityContext, and populates the context with a remember-me authentication token. 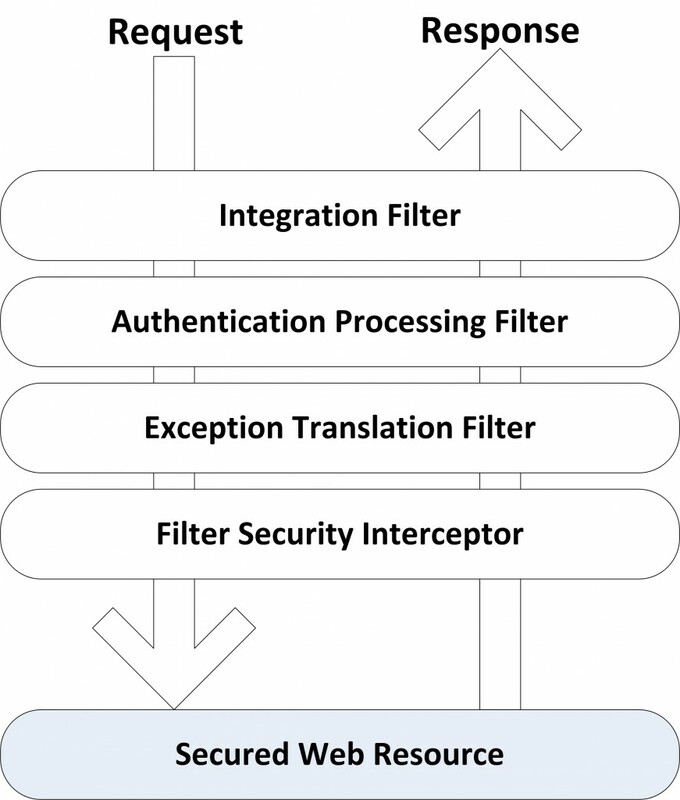 ExceptionTranslationFilter Translates exception raised during authentication and authorization. For example, if there is AuthenticationException, it translates and redirects the user to a login page. FilterSecurityInterceptor Entrusted with the responsibility of safe-guarding the Web URL and redirecting the accessing user if they don’t have the necessary access.